Clinton was born and raised in Arkansas and is an alumnus of Georgetown University. Clinton was elected president in 1992, defeating incumbent Republican opponent George H. W. Bush. At age 46, he became the third-youngest president. In 1998, Clinton was impeached by the House of Representatives for committing perjury while testifying before a grand jury and also for obstruction of justice during a lawsuit that was filed against him. Both issues were related to a scandal that involved White House (and later Department of Defense) employee Monica Lewinsky. 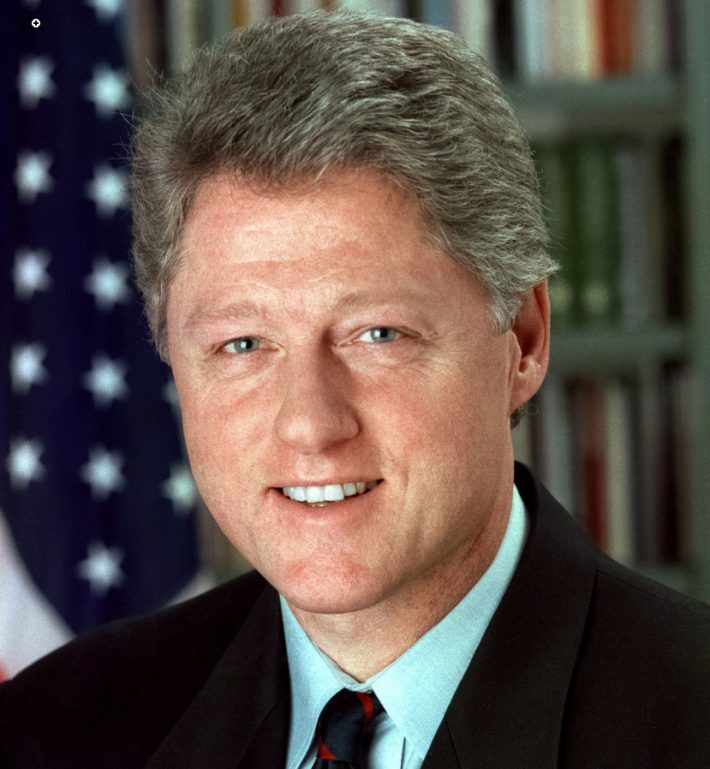 Clinton was acquitted by the U.S. Senate in 1999 and completed his term in office. Clinton left office with the highest end-of-office approval rating of any U.S. president since World War II. Since leaving office, he created the William J. Clinton Foundation to address international causes, such as the prevention of AIDS and global warming. When I was in England I experimented with marijuana a time or two — and didn’t like it — and didn’t inhale and never tried inhaling again. When I took office, only high energy physicists had ever heard of what is called the World Wide Web…. Now even my cat has its own page. Sometimes when people are under stress, they hate to think, and it’s the time when they most need to think. I did not run for this job just to warm the seat. I desperately want to make a difference. As powerful as our memories are, our dreams must be even stronger. For when our memories outweigh our dreams, we become old.